Whether you are looking for a 20’s-style fine dining location for 60 guests; an expansive outdoor venue to accommodate 120 people; elegant indoor setting for 80 of your friends; or an exclusive poolside spot for only the closest of family – The Marine and our dedicated events team will make your wedding dreams come true. Glamorous and edgy, our fine dining restaurant is an exceptional space for a wedding reception. 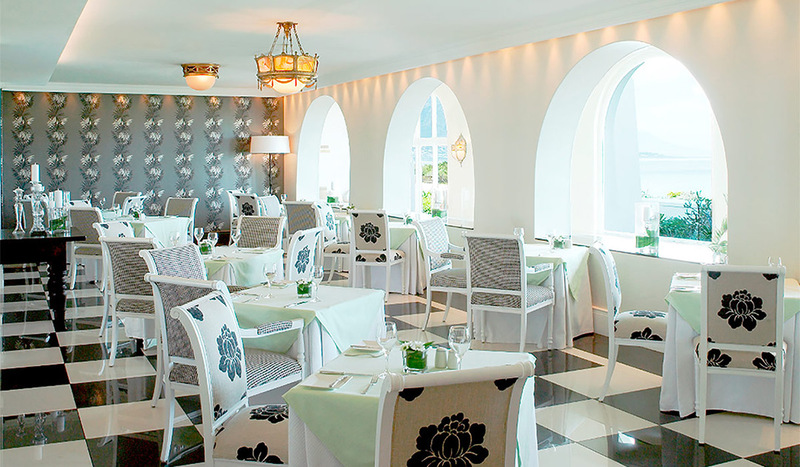 The striking 1920’s-style interior, with beautiful views over Walker Bay, provides the perfect setting for an elegant reception and party. The centrepiece of the restaurant’s interior is our glass wine cellar, which has been designed to look as if individual bottles are floating under the star-like ceiling lights. The Pavilion can accommodate a total of 120 guests with a marquee tent; 80 people cocktail-style; or 60 for banquets. The Greens is a beautiful outside area covered with green lawn, running parallel to the fynbos-lined cliff path skirting the hotel. The views, encompassing Walker Bay and distant mountain ranges, are spectacular. 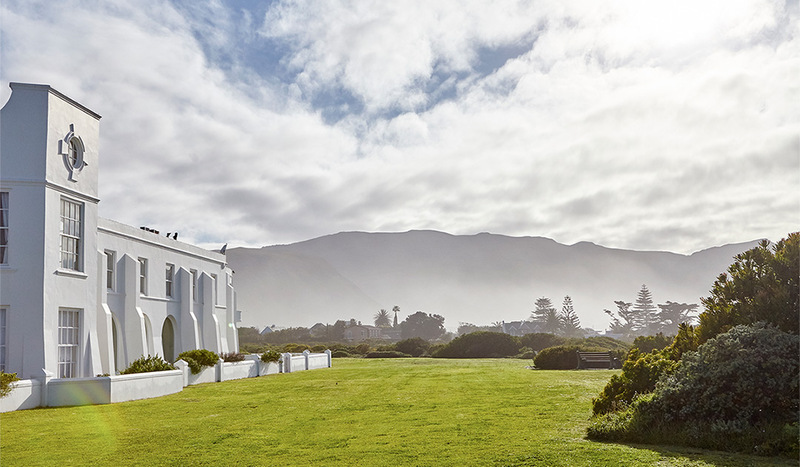 During the ceremony, guests will be able to breathe in fresh sea air laced with the soothing scent of local fynbos. The Greens is adjacent to The Sun Lounge, allowing for an easy flow from ceremony to canapés and champagne. This area can accommodate 120 people. While The Sun Lounge works in perfect harmony with The Greens, it can also hold its own. Large, high windows ensure that the sun floods in and leads the eye to mesmerising views of Walker Bay, while a fireplace allows for cosy winter weddings. This venue is an elegant indoor space for both ceremonies as well as receptions. The Sun Lounge can accommodate 80 people cocktail-style, and 32 for banquets. 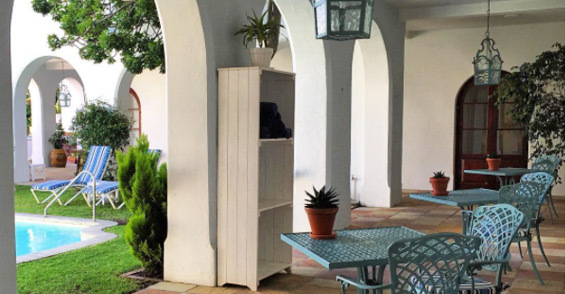 Situated in The Marine’s inner courtyard, our hotel pool area provides the perfect venue for small, intimate weddings. Very private and wind-protected, it is ideal for couples keen on an exclusive, subtle do. The area can accommodate 80 guests cocktail-style and 30 guests for a ceremony.